As a member of your homeowners association board (HOA) you may ask, "Do we need insurance?" The answer is a big yes! The more pertinent inquiry would be, "What type of insurance does our HOA need?" It is vital that your organization has the proper insurance coverage for all possible types of problems. Only about half of homeowners associations maintain their insurance policies. Of that half only 25% maintain adequate coverage. While nearly all HOA's have some type of policies on the books most groups have no idea what they have. This can lead to expensive litigation and claims that can cost your homeowners association thousands, and sometimes even millions of dollars. What can you do as a Board member? The fact is insurance is one of the best investments an HOA can make. It is up to you and your board to make sure your Association is properly covered for all contingencies. 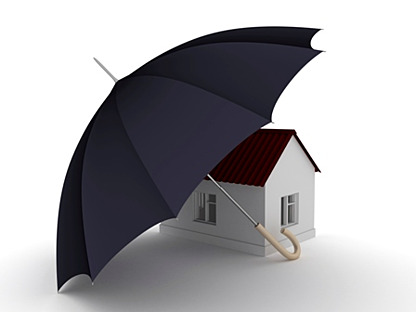 There are insurance agents and agencies that specialize in HOA coverage. These professionals can work with you to tailor a plan that fits the unique needs of your homeowners association. There is no better peace of mind than knowing your organization has adequate insurance coverage in force. If your HOA owns property then it should protect it. This type of coverage does just what is says; insures the property. This policy will cover against vandalism, theft and damage from fires, storms and natural disasters. This will cover things like accidents or injuries that take place on the property. Your HOA could be liable for actions it took, or did not take. Associations should take actions to correct any safety issues, especially in today's world where lawsuits are all too common. This is more commonly known as "D&O" coverage. This protects officers and trustees from being held liable when performing their duties for the Association. The D&O policy helps fund this requirement. It protects officers and trustees when they err accidentally and without malice. It does not cover willful acts of wrongdoing. This coverage protects the organization from theft committed by employees, contractors, Association members/volunteers, or even management companies. This should be part of your Association’s overall insurance package. There is a worker’s compensation insurance that you should consider if you do not already have it. This is to cover your volunteers, like Board members or others that give their time to do something for the Association without pay, like changing light bulbs for instance. It does not take the place of the worker’s compensation insurance that your contractors should carry. The types of coverage listed above should protect your homeowners association from most insurance issues it can run into. It is better to have more coverage than not enough. Of course, you and your Board members may not be insurance experts. It is essential that you consult and get counsel from a licensed insurance agent, or agents, to help put your insurance plan in place. There is no substitute for proper insurance coverage. When you became a Board member you promised to serve your association and protect it. Certainly, helping to make sure your organization has the proper insurance coverage to protect it against all sorts of issues is part of your duties. Along with the rest of the Board, make sure that your insurance coverage is up to date and comprehensive. Be diligent about your homeowners association's insurance and be adequately protected from many potential problems.